That’s a whole lot of Victory Royales. Everyone knows that Fortnite: Battle Royale is one of the most popular video games in the world. And now we know exactly how many people enjoyed dropping out of the Battle Bus last month. Epic Games revealed that August was Fortnite’s “biggest month yet” in today’s Fall Skirmish post. 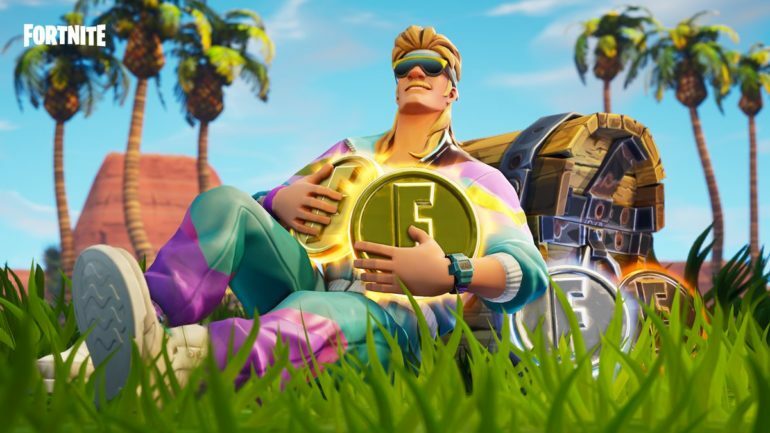 When talking about the upcoming $10 million tournament series, Epic said that it need to “harden and scale our systems and infrastructure” due to the large amount of players enjoying Fortnite. The developer then said that 78.3 million players played the popular battle royale game in August. “This exposed weak points and allowed us to make targeted improvements to critical systems, such as stats and servers,” Epic said. Although Epic was talking about improvements made to the game, indirectly slipping in the number of players who battle it out in Fortnite on a monthly basis helped to show just how popular this game is. While no one is underestimating the popularity of Fortnite, part of Epic Games’ new record might have to do with all the new platforms the game was introduced to over the summer. Fortnite has been ported to the Nintendo Switch and mobile devices over the last few months. The end of season five in Fortnite is coming, and that means season six is just around the corner. Who knows, maybe Fortnite can break 80 million (or even 100 million) players somewhere down the road.